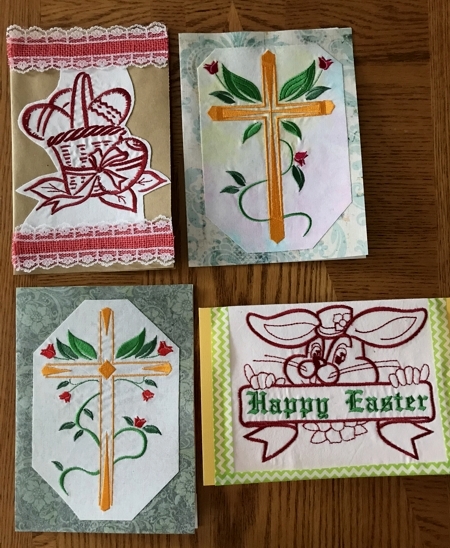 Embroidered greetings cards make unique gifts. 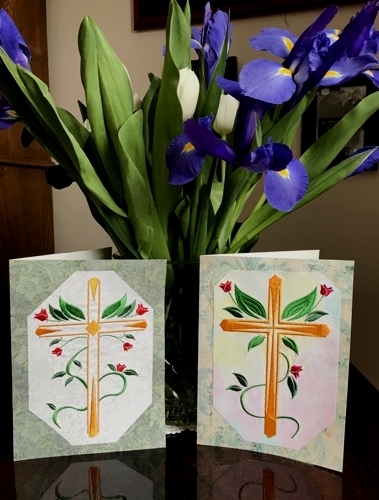 For these Easter-themed cards we used the designs from the Easter Cross Set, Happy Easter, and Basket of Eggs, for the large hoop (5" x 7"). 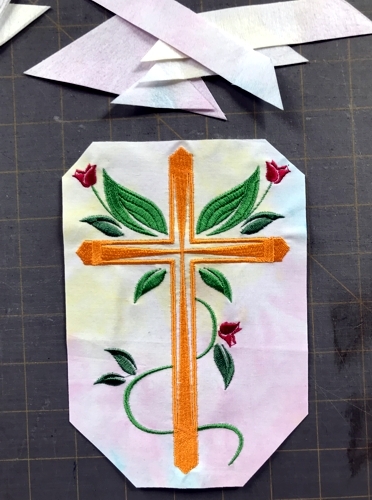 any additional embellishments - trims, ribbons, etc. 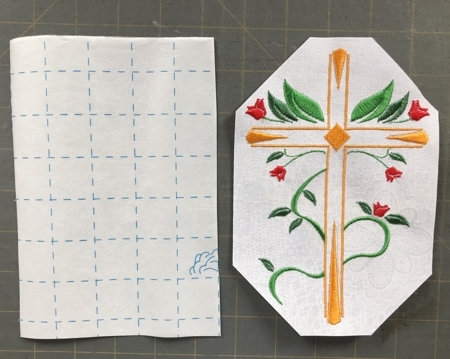 Stabilize the fabric with iron-on stabilizer. 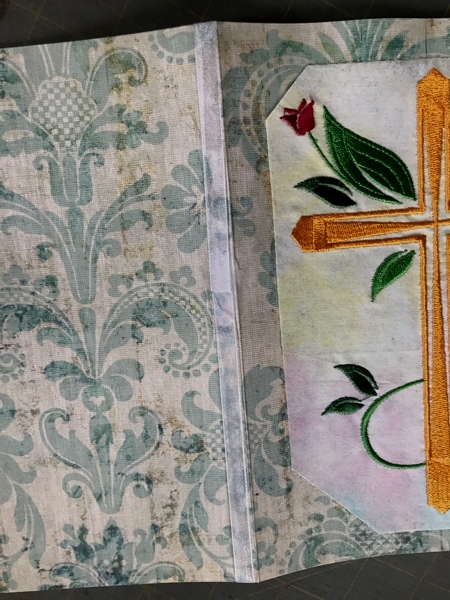 Make sure that the fabric and stabilizer adhere to each other firmly. Upload the design you've chosen to the machine. 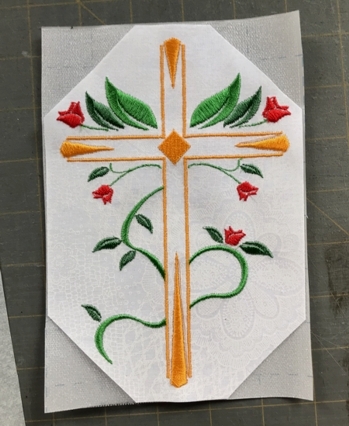 After the embroidery is finished, unhoop and press. Do not remove the stabilizer! Trim the stitch-outs. 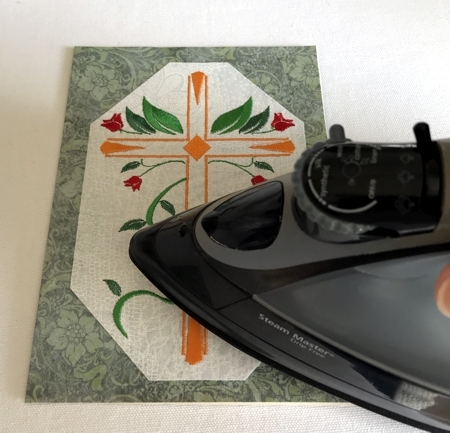 We trimmed the cross stitch-outs to octagons. Out of cardstock, cut a strip measuring 8" x 12". 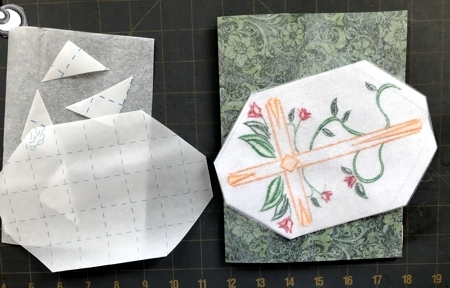 Fold it in half, aligning all edges. 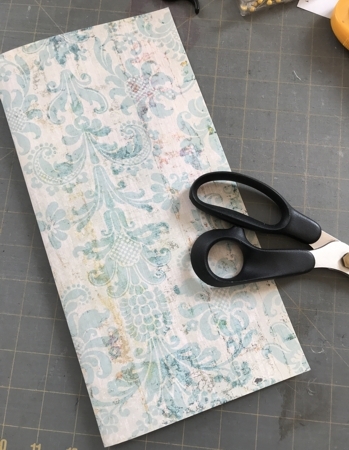 Using the handle of the scissors, make the crease on the folded edge. Cut a piece of Steam-a-Seam2 web the same size as the stitch-out. Remove the protective paper on one side of the web. 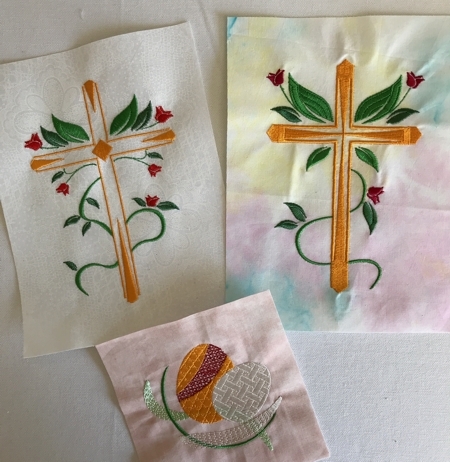 Place the stitch-out on the web and press it with your fingers, so that the stitch-out adheres to the web. Trim the excess web around the stitch-out. Remove the protective paper from the other side of the web. 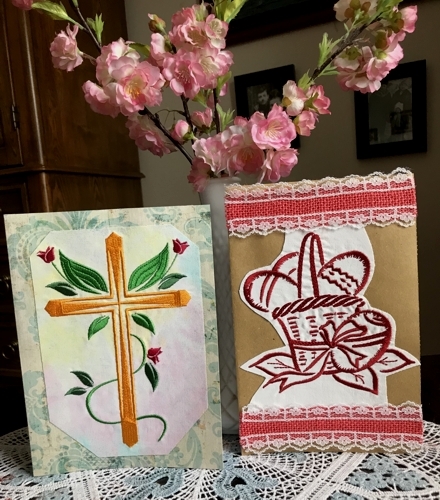 Place the stitch-out on the front of the folded cardstock and press with a hot iron until the web melts and the stitch-out is permanently glued to the card. 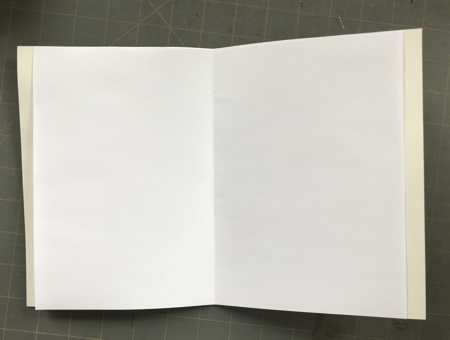 Fold a Letter size sheet of paper in half and insert into the card. You can either glue it in place, or use a ribbon to keep it in place. 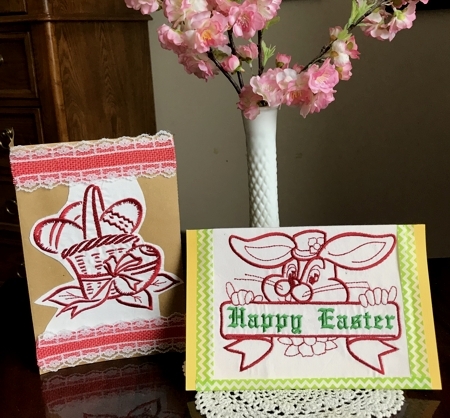 The 2 cards below are made in the same way using Steam-a-Seam2 film. 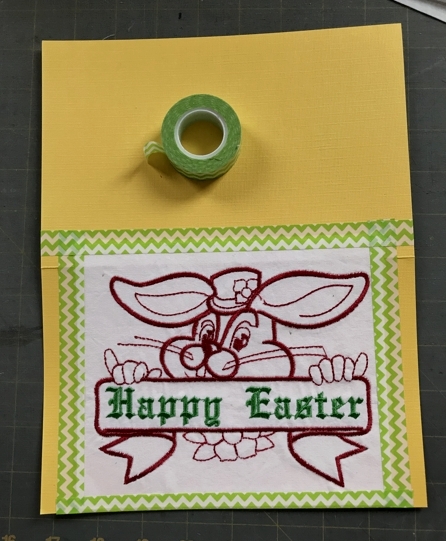 On the card with the Easter Rabbit, we trimmed the stitch-out's edges with decorative tape. 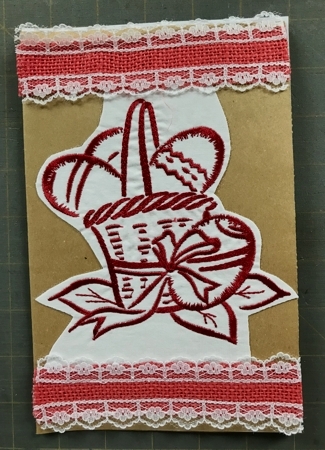 We decorated the card with the basket with burlap and lace trim, which we attached to the cardstock with the help of Steam-a-Seam2.